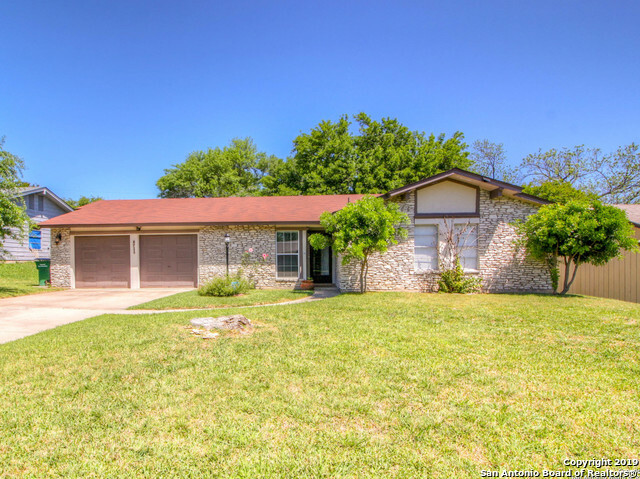 All OAKHILLS TERRACE - BEXAR homes currently listed for sale in San Antonio as of 04/20/2019 are shown below. You can change the search criteria at any time by pressing the 'Change Search' button below. "Don't miss this gorgeous one story charmer * 4 bedroom * 2 bath * 2 car garage * tons of storage * built-ins in master closet * newer stainless steel appliances: gas range, fridge, dishwasher * open kitchen/dining area * fresh paint, designer colors * modern ceiling fans ** skybell wi-fi video doorbell and alarm system stays! ** detached workshop * newer electric panel * roof 1.5 yrs young * well established, clean neighborhood * Med Center * USAA * UTSA * Loop 410 * Bandera Rd * Northside Schoo"
"This San Antonio one-story offers a fireplace, and a two-car garage. Upgraded features include new electrical panel and kitchen door. This home comes with a 30-day buyback guarantee. Terms and conditions apply."